You can either use Ambari to configure node labels on a cluster, or make configuration changes on the YARN ResourceManager host if you are using a non-Ambari cluster. Select YARN > Configs on the Ambari dashboard, then enable Node Labels under YARN Features. Click Save, then restart all cluster components that require a restart. To enable Node Labels on a non-Ambari cluster, make the following configuration changes on the YARN ResourceManager host. Use the following commands to create a "node-labels" directory in which to store the Node Labels in HDFS. -chmod -R 700 specifies that only the yarn user can access the "node-labels" directory. You can then use the following command to confirm that the directory was created in HDFS. The new node label directory should appear in the list returned by the following command. The owner should be yarn, and the permission should be drwx. Use the following commands to create a /user/yarn directory that is required by the distributed shell. The preceding commands assume that the yarn user will be submitting jobs with the distributed shell. To run the distributed shell with a different user, create the user, then use /user/<user_name> in the file paths of the commands above to create a new user directory. Add the following properties to the /etc/hadoop/conf/yarn-site.xml file on the ResourceManager host. In order for the configuration changes in the yarn-site.xml file to take effect, you must stop and restart the YARN ResourceManager if it is running, or start the ResourceManager if it is not running. su -l yarn -c "/usr/hdp/current/hadoop-yarn-resourcemanager/sbin/yarn-daemon.sh stop resourcemanager"
Use the following command format to add Node Labels. You should run these commands as the yarn user. Node labels must be added before they can be assigned to nodes and associated with queues. If exclusive is not specified, the default value is true. For example, the following commands add the node label "x" as exclusive, and "y" as shareable (non-exclusive). You cannot remove a node label if it is associated with a queue. yarn rmadmin -replaceLabelsOnNode "<node1>:<port>=<label1> <node2>:<port>=<label2>"
For example, the following commands assign node label "x" to "node-1.example.com", and node label "y" to "node-2.example.com". yarn rmadmin -replaceLabelsOnNode "node-1.example.com=x node-2.example.com=y"
You can only assign one node label to each node. Also, if you do not specify a port, the node label change will be applied to all NodeManagers on the host. Now that we have created Node Labels, we can associate them with queues in the /etc/hadoop/conf/capacity-scheduler.xml file. You must specify capacity on each node label of each queue, and also ensure that the sum of capacities of each node-label of direct children of a parent queue at every level is equal to 100%. Node labels that a queue can access (accessible Node Labels of a queue) must be the same as, or a subset of, the accessible Node Labels of its parent queue. Assume that a cluster has a total of 8 nodes. The first 3 nodes (n1-n3) have node label=x, the next 3 nodes (n4-n6) have node label=y, and the final 2 nodes (n7, n8) do not have any Node Labels. Each node can run 10 containers. Assume that queue “a” can access Node Labels “x” and “y”, and queue “b” can only access node label “y”. 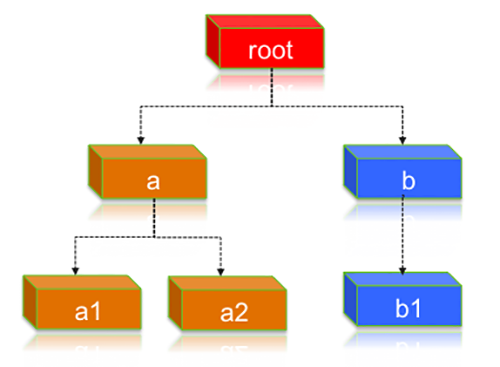 By definition, nodes without labels can be accessed by all queues. Queue “a” can access 40% of the resources on nodes without any labels, 100% of the resources on nodes with label=x, and 50% of the resources on nodes with label=y. Queue “b” can access 60% of the resources on nodes without any labels, and 50% of the resources on nodes with label=y. For child queues under the same parent queue, the sum of the capacity for each label should equal 100%. How many resources can queue a1 access? To implement this example configuration, you would add the following properties in the /etc/hadoop/conf/capacity-scheduler.xml file. You can use the following commands to view information about node labels. Node labels are also displayed in the ResourceManager UI on the Nodes and Scheduler pages. If no node label is specified for a child queue, it inherits the node label setting of its parent queue. To specify a child queue with no node label, use a blank space for the value of the node label. You can set a default node label on a queue. The default node label will be used if no label is specified when the job is submitted. For example, to set "x"as the default node label for queue "b1", you would add the following property in the capacity-scheduler.xml file.